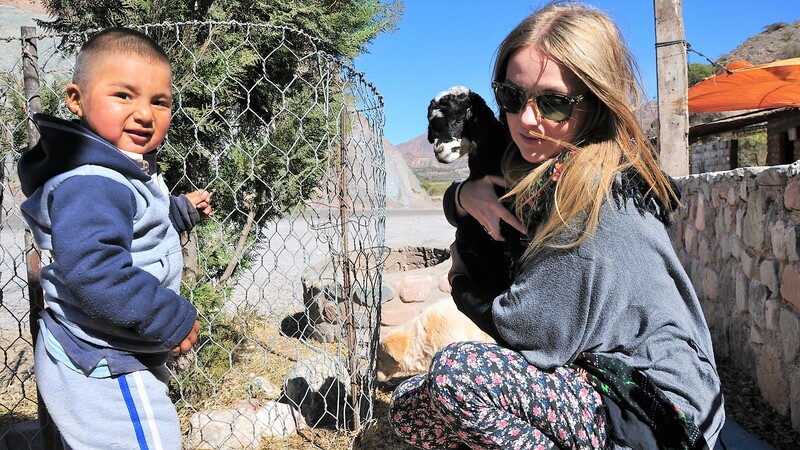 Sarah, a world traveler, makes a decision while planning her next adventure to Argentina. She decides to be more open to meeting new people and helping strangers. 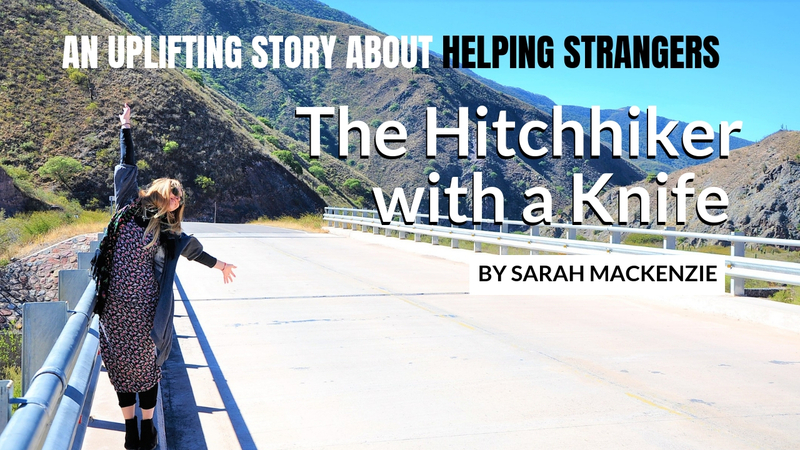 But what will she do when a knife carrying hitchhiker, twice her size asks for help? I’m sat in our dusty car looking out over the zig-zag roads of Cuesta del Obispo in the Northern province of Salta, Argentina. It’s mid-morning and, despite the sun having done a fair share of its morning climb already, the altitude, combined with the June climate, means that I still need my shawl. My travel buddy, Lucas, having taken in enough of the view, has gone to speak with someone from one of the many tourist souvenir shacks. 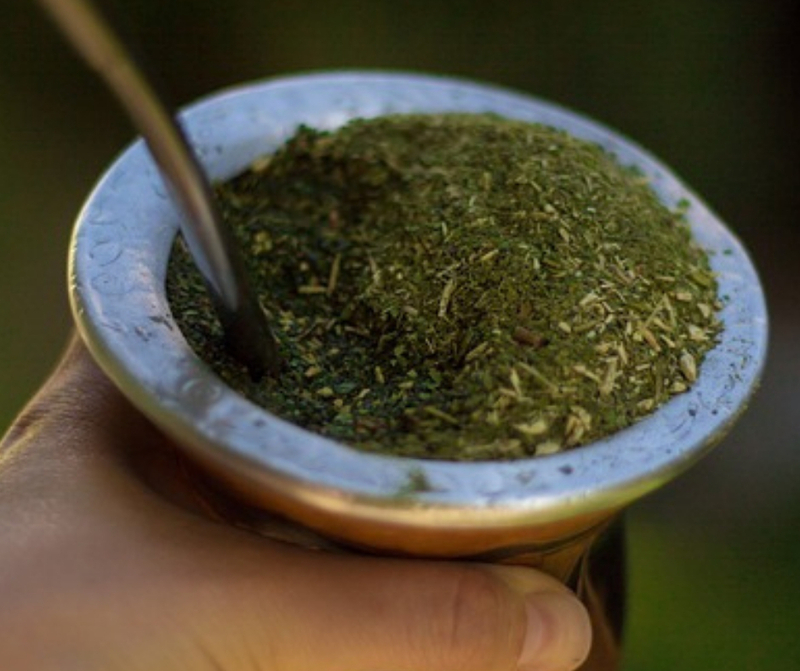 He’s making a bid to source some hot water for his drink, mate - a traditional Argentinian dried leaf drink. He’s been away for ages. I’m keen to get going. We have a long drive ahead of us. We’ve had more mate stops than meals on this trip. But in Argentina, I have swapped my solo habits in order to spend time with Lucas, a friend who I met a few years back in Rio. I roll the window down and twist my neck to get a glimpse of what he’s doing. Lucas is walking towards me carrying a huge roll of llama sausage, a flask full of hot water, a new black cowboy hat and a big grin on his face. I’m irritated. We are on a budget. A tight budget. “What are you doing?” I ask him, wincing at my slightly agitated tone. “We’re giving a man a lift,” he tells me, explaining that his new bundle was part of the bargain. When we’d picked up our reasonably-sized, grey Volo at the start of our road trip, we verbally agreed to embrace new encounters and pick up hitchhikers we spotted during our 1200 km trip. The idea seemed daring but somehow safe, given that there were two of us and Lucas was a local to the country. How exciting to create an opportunity to meet people that you wouldn’t have otherwise met. Imagine the stories we’d hear, the characters we’d meet. We’d tested the water quite early-on in our trip, picking up two young lads of only seventeen years old. They carried a guitar and a set of small bingo drums and, despite the language barrier, I felt like an overly concerned aunt for most of their ride with us. It was an easy test run without any hint of safety worry. Now, as I look at Lucas’ new friend, I see a different kettle of fish. Michael is big. I mean really BIG. As Lucas throws himself back into the driver seat, I watch in the side mirror as Michael stomps toward the car. He wears a cowboy hat and chunky matching cowboy boots. In his right boot is a big knife, pushed far enough in that only the handle and the base of the blade pokes out. A knife! He gets into the car and it physically sinks. "In his right boot is a big knife, pushed far enough in that only the handle and the base of the blade pokes out. A knife! " I’m bemused as to how I feel. I would normally be wary of this enormous stranger now sitting in the back of my vehicle. However, with Lucas now eagerly chattering away to him in a language I barely understand, I’m trying to let myself relax. I’m a big believer in gut instinct. It has served me well in the past. I don’t feel threatened, not even a little. This is what we signed up to, right? My gut tells me we’re okay. Lucas loosely translates the conversation they’re having as Michael proudly yanks out his knife, explaining he uses it for everything: opening bottles, picking his teeth, castrating his cows (what?). Do I want to see a photo? He shakes his phone at me and starts whizzing through photos of cow slicing before I get the chance to decline. Usually my vegan self would have written the man off at this point, but I can’t help but feel slight respect for how genuine he feels. My warmth towards our new stranger grows as he persistently tries to communicate with me, deliberately including me in his efforts to befriend Lucas. He lifts the mood of the car, wasting no time making it known that he feels comfortable enough to skip the usual social pleasantries usually reserved for new acquaintances. We pull over as he pees shamelessly to the side of our car. I laugh at his brazen approach to his new friendship. It’s refreshing. Twenty minutes down winding mountain roads, through shady tree thoroughfares and back into rocky hillsides, Michael points out a shack coming up on the side of the road. He tells us to pull over. As we pull up, a truck of locals sit around a table on plastic chairs. They are shaded from the afternoon sun by a strip of tarpaulin, pulled out from the roof of a small stone building, no larger than my lounge at home. Everyone is staring at me. I’m wearing my H&M boots and lazy Ibiza shawl. I look rather out of place in what is essentially a trucker stop on the cusp of the Andes mountains. I worry this is going to be another place I won’t be able to eat. Understandably, my plant-based diet has been a difficult one in the North of the steak capital of the world. Lucas bounds enthusiastically over to meet the owners of the establishment, a small tanned woman and her husband. They are friends of Michael, though I never find out how they came across one another. I hover on the edge of the makeshift restaurant, focusing my attention on a tiny baby goat that has been separated from the others to the side and fenced into a tiny circular pen. There is no shade for the tiny creature, and I am distressed about it. Once again, I consider how I would have approached this at home. With anger? Most certainly. Michael’s shadow looms over me as he leans over the pen and scoops the tiny bundle out, ignoring its pitiful bleating. He hands the little baby over to me before striding back to the shade. I’m as happy as punch as I carry him into the shade of the stone walls and hunch down. I am grateful that he has humored my dismay. I ignore the stares as the locals watch the mad Scottish girl coo over the baby goat, pouring the last of my water bottle into my hands for him to drink. Ten-minutes or so later, I’m ushered over to eat. It’s a week into our North Argentina trip and I have come to accept my bread and tomato diet. A huge salad plate is set down in front of me. Lettuce, shredded carrot, avocado, tomato. It’s a delightful sight. Another plate goes down. Rice. Another. Potatoes and bread. A frosty glass of beer hits the table in front of me. I’m getting excited. The hosts surround our table as we eat, delighted at my joy, explaining to Lucas that the meal is free on account of our willingness to help their friend. These people, with their remote little home, self-sufficient water supply and small flock of animals have welcomed us into their home like their best friends, simply because we welcomed their friend into our car. I’ve never met someone impose themselves so shamelessly on someone else in my life, and I’ve never quite so happily accepted it. Lucas pulls me to one side after our meal. We have just been given a ‘VIP’ tour of our host’s home. We talk about how invigorated we feel. It’s hard not to feel a little excited. Our new willingness to keep an open mind and help a stranger has provided us with one of the best moments of our trip. We couldn’t have paid a tour for our new friendship. 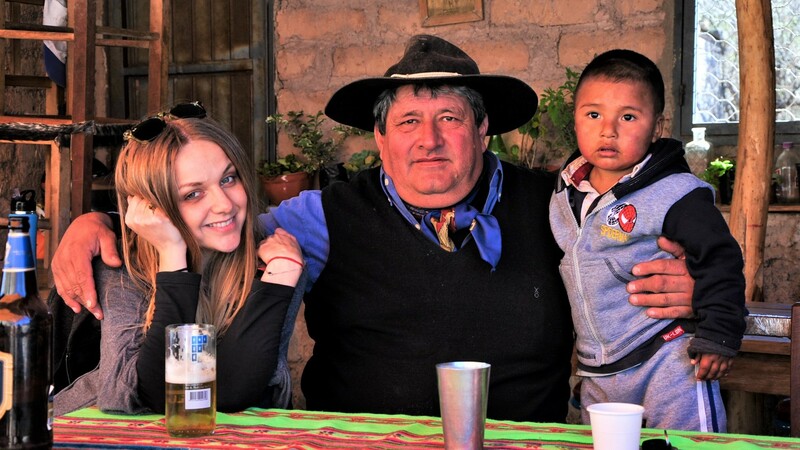 There isn’t an excursion in Argentina that could have shown us this kind of natural hospitality. 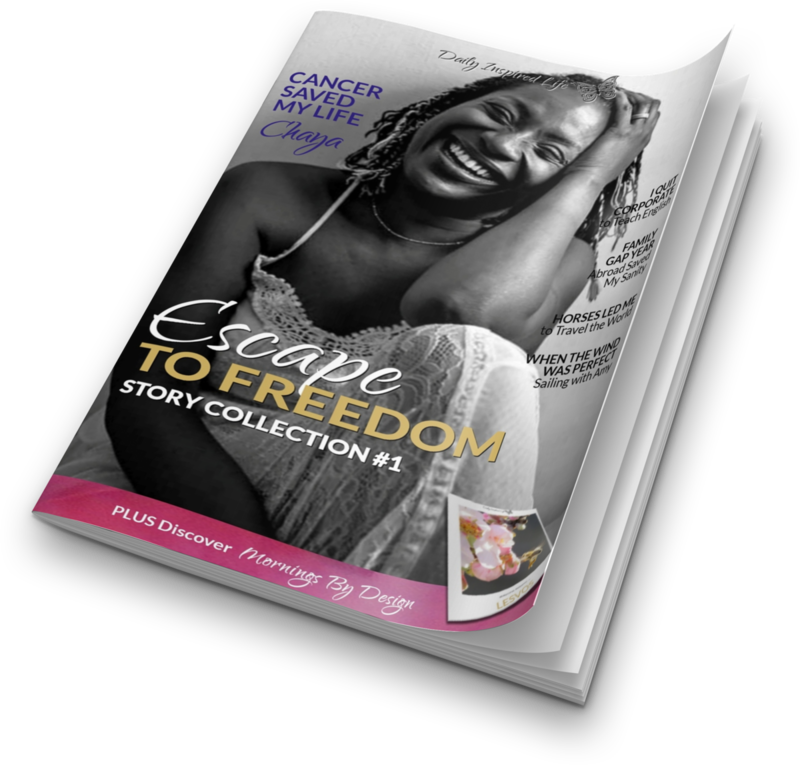 We have been given a little snapshot into someone else’s lives. I have no doubt whatsoever that if I showed up on their door in three years’ time, they’d welcome me with open arms. Our new willingness to keep an open mind and help a stranger has provided us with one of the best moments of our trip. We drop Michael in Salta two hours later. The sun is setting and, despite our need to keep driving to our next stop, we stop for a beer in his small tiled house in the middle of a dried mud estate. Now surrounded by huge men mirroring Michael's size and appearance, some holding onto large mongrel dogs, I should be terrified. I’m not. I’m a little agitated by the thought of our inevitable drive in the dark, but I am sad to leave our new friend. As we get into our dusty car, we agree to pick up anyone else thrusting a thumb out by the side of the road. We didn’t take any contact details from Michael. He doesn’t have Facebook and it seems weird that we would call him. There is an unspoken understanding that this brief friendship was enough. We pick up two more people on our trip. Two more friends for life. 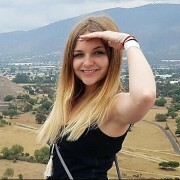 Sarah Mackenzie is a travel writer, marketing adviser and blogger based in Edinburgh, with a focus on budget and vegan travel. 39 countries to date, with extensive knowledge of travel within Asia, particularly within Thailand. 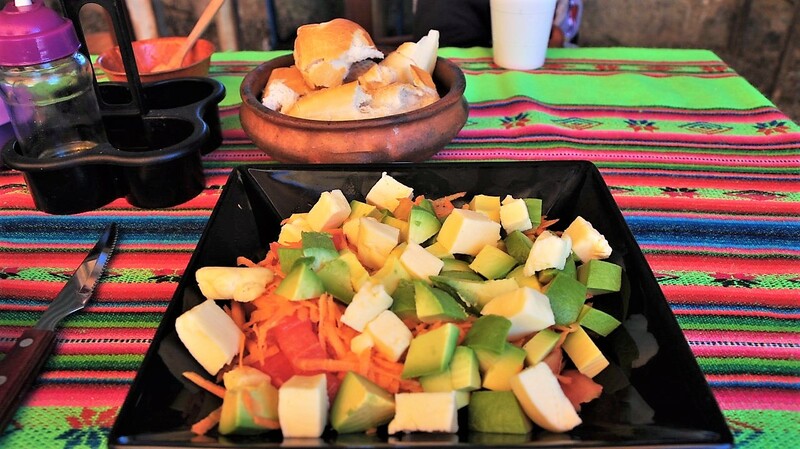 Sarah is the creator of the popular blog My Veggie Travels. What a great story! Not what I expected when I read the title! I thought you gave a ride to a serial killer that you found out later or near miss it was lol! That sounds like wonderful adventure while driving cross country. Looks are definitely deceiving! Great story. I thoroughly enjoyed it. Love your engaging writing style. It’s about how biases can limit our growth and experiences. Loved your post! As a fellow travel junkie – I think you open yourself up so much to incredible encounters when you are open to strangers. Helping them, as well as receiving help from them. Strangers are indeed only strangers until we become friends, and you described this sentiment so beautifully throughout this entire piece. Thanks for sharing your experience! Beautiful writing! As if I was reading a chapter from a fiction book! Absolutely love it!! This is beautiful! What a wonderful experience! I love your writing style a lot! You kind of captured me in the story. I’m also a big fan of these kind of stories. It proves once again that the world isn’t as dangerous as everyone believes. With the media nowadays, you should be scared of strangers and life in general. But the way I see it, is that a stranger can become one of your best friends over time. I bookmarked your blog btw, keep up the good work! This is a great post and beautifully written. It’s the kind of story that makes me feel better about the world and want to see more of it. I want to be able to write like you, do what you do and visit the places you do. In fact, I think I want to be you.